For more than a decade, suicide rates have been on the rise across the United States, with thousands of lives lost each year. Sadly, Chester County, despite being rated one of the healthiest counties in the Commonwealth, is not immune. Suicide is the second leading cause of death among young people aged 15-24, but it affects all age groups, including middle aged and older adults. The most recent statistics show that every 11 and a half minutes an American life is lost to suicide, with more Americans now dying by suicide than car accidents. 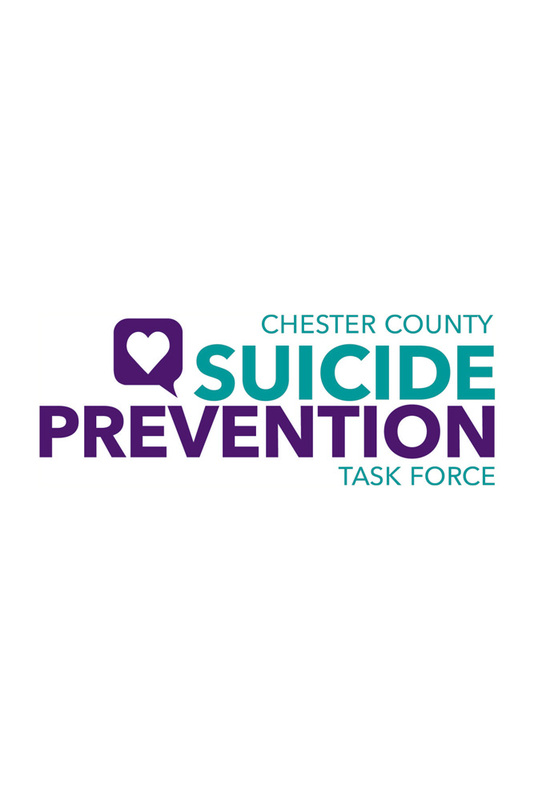 In 2018, 63 people died by suicide in Chester County (preliminary statistics pending verification of December 2018 data). Yet many people know little about this topic, or how to help someone in crisis. 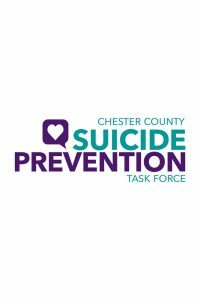 Chester County’s Suicide Prevention Task Force has been raising awareness and educating the community about suicide for almost 15 years. The Task Force mission is to decrease suicide through increased awareness and education in the community. In 2018 alone, this volunteer organization trained more than 3,200 individuals in QPR (Question, Persuade, Refer), a national suicide prevention program. Many of those trained were local high school students. Like CPR or the Heimlich Maneuver, QPR teaches warning signs of suicide and life-saving skills to everyday people. For the past five years, the internationally acclaimed Mental Health First Aid public education course has been supported by the Chester County Department of Mental Health/Intellectual and Developmental Disabilities (MH/IDD). The eight-hour training program, which includes suicide prevention, has been delivered throughout the county, in community settings, public schools, West Chester University and places of worship. It’s among many free trainings and support from local agencies and organizations. Last year, Chester County MH/IDD launched an advertising campaign for suicide prevention and to promote use of the local crisis intervention services. Valley Creek Crisis Intervention provides free phone and mobile crisis services for anyone, regardless of income or insurance, 24/7, 365 days a year. There is also a warm line for non-emergency conversations with trained people in recovery. In addition, there are many mental health treatment options in Chester County. Many services are listed on Chester County’s Refer Web: www.referweb.net/chesco. There is no single cause for suicide, and the problem is complex. But talking about it and learning about suicide can save lives. For more information, visit the Chester County MH/IDD website at www.chesco.org/mhidd, or visit the Chester County Suicide Prevention Task Force website at www.chestercountysuicideprevention.com to learn critical information about warning signs, resource, statistics and events. The Task Force can be contacted by email at ccsptaskforce@gmail.com. If you or someone you know is in crisis, contact Valley Creek Crisis Intervention at 610-280-3270.